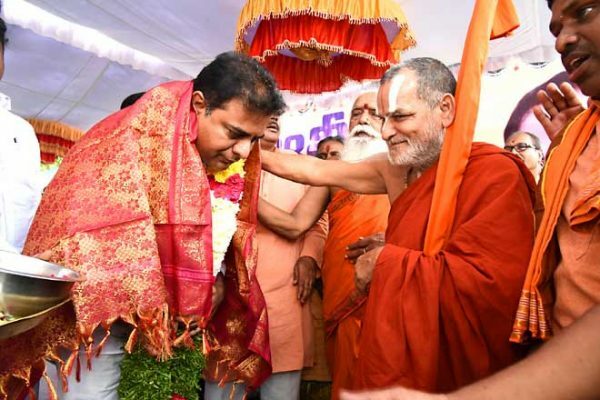 IT Minister KT Rama Rao being blessed by a seer during a meeting organised by the Telangana Brahmin Association in Hyderabad on Thursday. Hyderabad: IT and Industries Minister K T Rama Rao on Thursday wondered why Andhra Pradesh Chief Minister N Chandrababu Naidu was bent on hatching conspiracies against Telangana State when he should be addressing the problems in his State and taking up developmental programmes there. “Naidu is trying to deceive the people of Telangana and take them for a ride with his cheap tricks. He has plenty of work in his own State such as construction of Polavaram, roads and other irrigation projects besides looking into the welfare of five crore people. Setting aside all these, he is trying to meddle in the affairs of Telangana State,” he said. Addressing a ‘Brahmin Athmiya Sammelanam’ organised by the Telangana Brahmin Association here, Rama Rao assured that the party would extend support to the poor among Brahmins. “Telangana is the only State where the treasury is paying salaries to Archakas. No other Chief Minister in the country has such insights into the issues and hardships faced by the Brahmin community. He is also the only Chief Minister to have launched several welfare schemes for the community besides performing Ayutha Chandi Homam for the welfare of the nation,” he said. Rama Rao said that during the four years of TRS rule, the government had allocated hundreds of crores of rupees for the development of temples such as Yadadri, Bhadradri, Vemulawada, Basar, among others. Chandrashekhar Rao had also demanded of the then Chief Minister Chandrababu Naidu to conduct Godavari Pushkaralu in Telangana when he was leading the separate Statehood agitation, he said. Rama Rao said the TRS government had planned to extend the ‘Dhoopa Deepa Naivedyam’ scheme to another 1,200 temples but had to stop it due to the election code of conduct. “The government has chalked out 17 welfare schemes for the community but only five of them have been implemented and the rest will be implemented once the party comes to power again,” he said. Rao said with the election code of conduct in force, the government could not attend the final rites of priest Satyanarayan, who was killed in Warangal. “I assure that after elections, the TRS will take care of his family members. 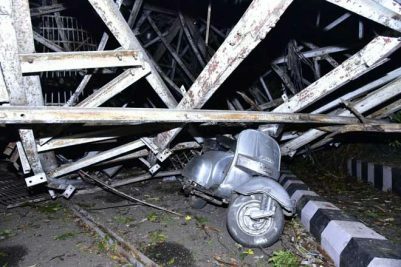 The file in this regard is already with the Chief Secretary,” he said, adding that government will issue directions to the police and other officials to take steps that such incidents do not recur. “I don’t want to hide anything and aim openly saying that I came here to seek your blessings before elections. 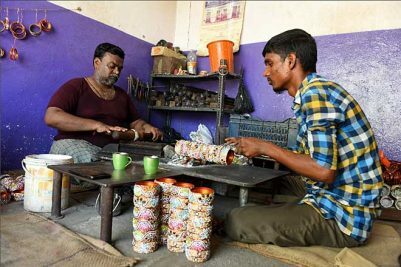 I assure you that demands and requests put forth by you will be honoured without fail,” he said, and recalled that under the Brahmin Entrepreneur Scheme of Telangana (BEST), the government had given financial assistance of Rs 2 crore to 72 beneficiaries, spent Rs 35.5 crore on 14 veda patashalas besides releasing Rs 7.26 crore wowards overseas scholarships for Brahmin students. Special representative of the State in Delhi Venugopala Chary urged the government to extend Aarogyasri health cards to Brahmins and ensure financial assistance for upanayana ceremony. TRS Rajya Sabha MP Captain Laxmi Kanth, government advisor K V V Ramanachary, Telangana Beverages Corporation Chairman Devi Prasad, MLC Naradas Laxman Rao and Brahmin Association members participated in the meeting.